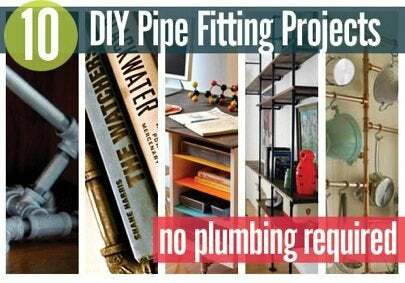 Many contractors and home improvement experts will say, “Homeowners and DIYers should try anything, except for electricity and plumbing. That’s best left to licensed professionals.” Whether you agree or not, you gotta admit: the possibility of having 110 volts arcing into your body or the danger of causing a major water leak is intimidating for some folks. Me included. But that’s a-okay by me, because I still get to play with plumbers’ and electricians’ tools and supplies. Like pipe fittings: galvanized, black, copper, PVC… they’re each great for creating all kinds of DIY projects, which have nothing to do with water or gas. 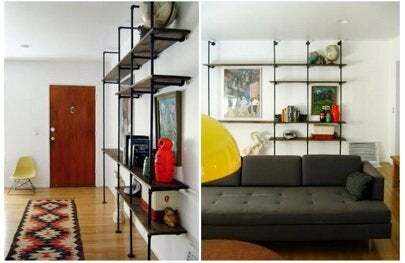 We’ve assembled ten ideas and techniques for using pipe fittings in your home, as well as some general tips for using pipes to create structures and furniture for home use. Many a laundry room is outfitted with a plumbing-pipe clothes rack. 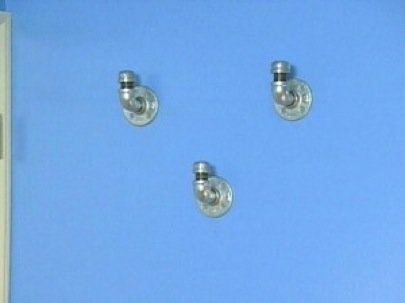 Embrace the look by creating a closet out of nowhere by installing pipe flanges in the studs and hanging the racks from the walls, as in this example from Sunia Homes. 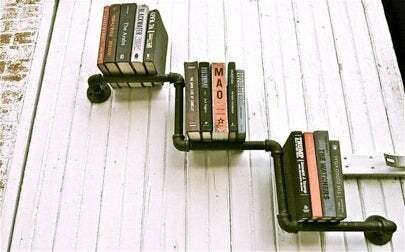 Etsy seller KKatz takes a similar approach but uses multiple shorter shelves to display favorite books. Check out more of her work or give it a shot yourself! 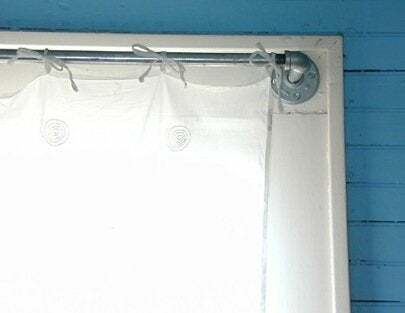 Using galvanized pipe as a curtain rod saves you lots of money, and you can have it cut to any size you need. I use this trick in my own house, and it’s always a great conversation-starter. 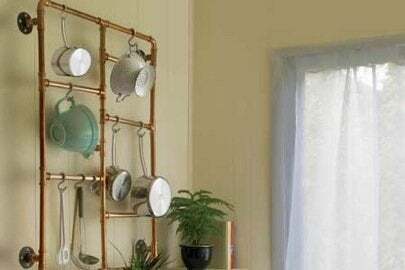 This Old House magazine opts for the warmth of copper to create an inexpensive and functional pot rack full of kitchen storage options. 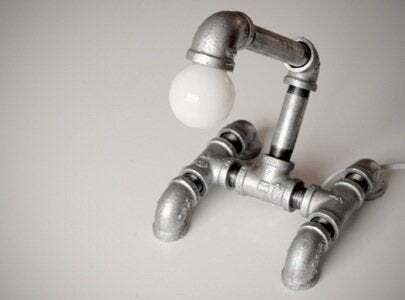 When I remodeled my office, I created an industrial lamp from galvanized pipe fittings. Click here for the full how-to. Black pipe can make the perfect base for a dining, side, or coffee table topped with reclaimed wood, as demonstrated by Rory of Oat Design. 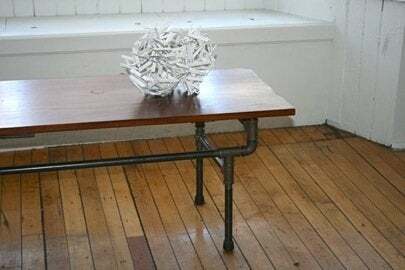 I took a similar approach and used galvanized pipe as the base to build this mid-century-modern-inspired desk (which I’m sitting at right now!). 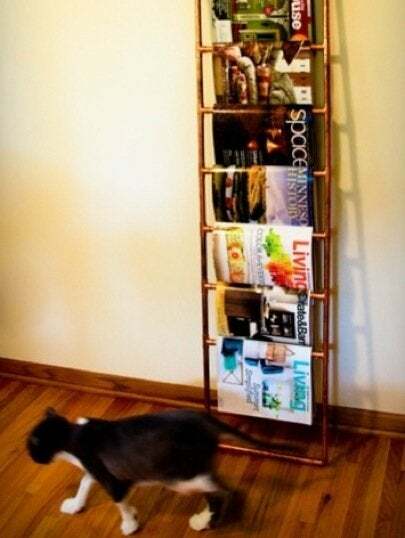 My friend JoAnn made this sleek magazine rack from copper pipe. 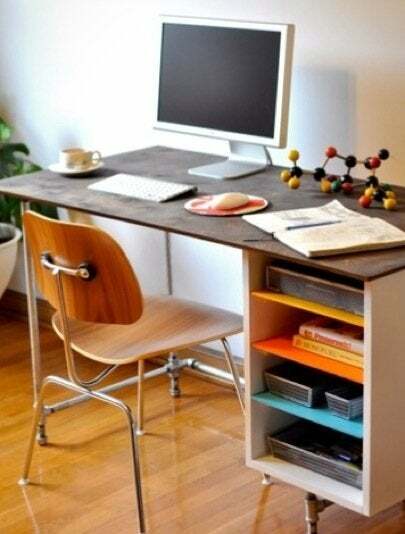 I especially love that it can be easily moved as needed. If some of these projects are too industrial for your taste, consider a few simple flanges and elbows as a coat rack in your entryway or utility room. And lastly, this amazing installation and wall unit, which works perfectly to fill up a blank entryway space and allows for as much color or neutrals as needed—incredible, right?